Coal is quite miffed at Loki’s attempted murder! Those two little ravens are so cute!!!!! And Loki is awesome. Hands down. Haha! He does look like that! That would be awesome, a kung fu fighting viking…. everybody was kung fu viking! HUAH! 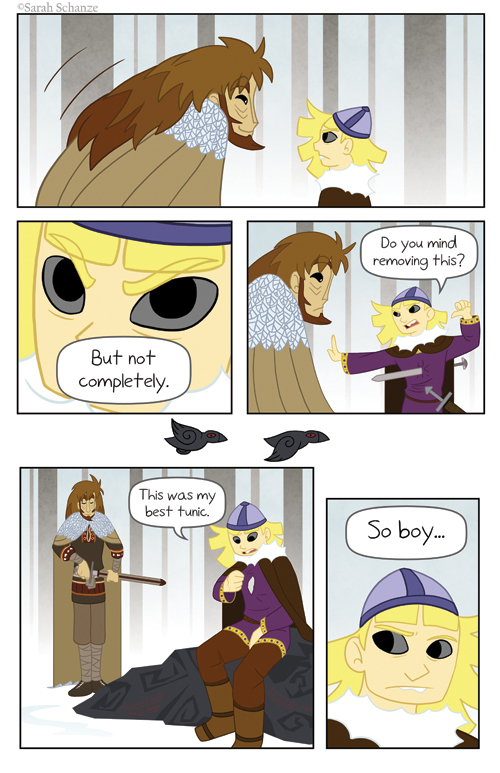 Ohoho, Do I spy Huginn and Muninn on this page? Or perhaps just birds passing by? Must keep reading..